NPSL Sunshine Conference play resumes for Boca Raton FC with tonight’s home opener against (Orlando) Kraze United. Game time is 7 pm ET at Atlantic High School Tickets can be purchased be here. 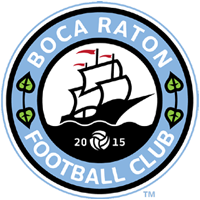 Boca Raton opened NPSL Sunshine Conference play with a 1-0 loss at Miami United and is coming off a 2-1 loss to the same opponent in the Lamar Hunt US Open Cup. Kraze United of Orlando which traces it lineage back to the foundation of the Central Florida Kraze in 1998. The former Kraze won the 2004 PDL National Championship and qualified for the Lamar Hunt US Open Cup six times, most recently in 2013. The club was resurrected as an NPSL side in 2016. Current Head Coach Joe Avallone guided the Kraze to the 2004 PDL Championship. This will be Boca Raton’s first ever NPSL home match and first match at Atlantic High School.